15 oz. 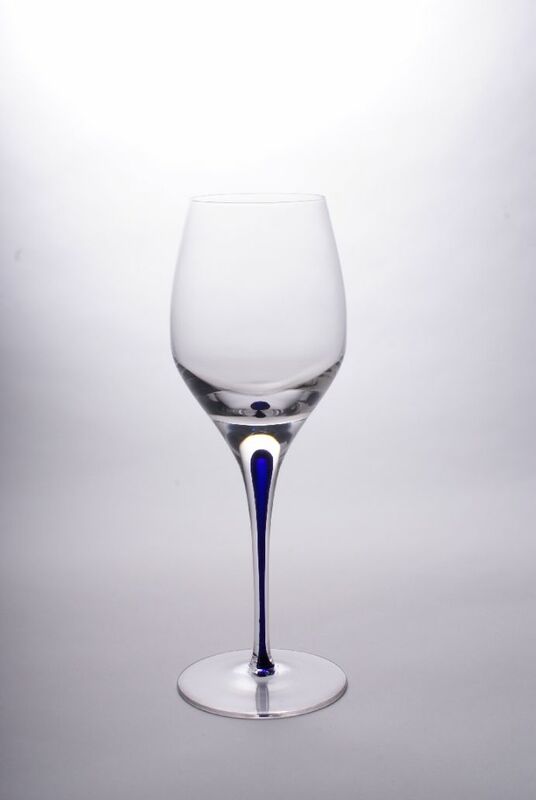 White Wine glass with a vivid Blue accent running elongated through the stem. Measures 9 1/4 inches tall - sold in sets of 2.